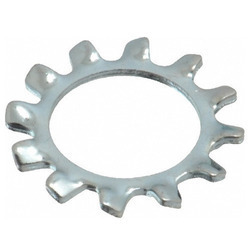 We offer a wide range of stainless steel washer which is used to distribute the load of a threaded fastener, such as a screw or nut, wear pad, preload indicating device, locking device, and to reduce vibration. These are made up of carbon Steel, Alloy Steel, Stainless Steel, Brass, Aluminum. These are manufactured under the guidance of expert technicians and raw material is procured from our trusted sources therefore follow international quality standards. We Swagat Steel and Alloy offer superior quality SS Washer that are used in those various industrial applications where radial space is limited. These washers are effective where locking action is required against rotation of the screw of bolted assemblies. Our range includes plain washer, plain big & small OD washer, spring lock washer, spring washer heavy duty, tooth washer, star washer, tab washer with one & two tab. 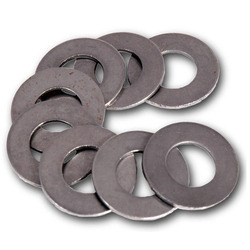 These washers are made from superior quality metals and are ideal for electrical and engineering applications. 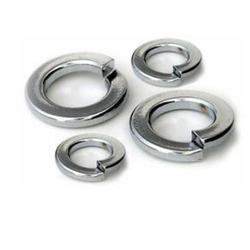 Our washers have close tolerances and superior finishing. In order to cater to the diverse requirements of honorable clients, we are able to offer Taper Washer. 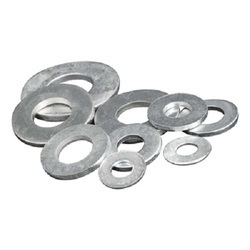 The offered range of tapper washers is made by reliable vendors, who ensure to utilize high grade stainless steel and highly advanced technology. Along with this, the offered range of tapper washers is suitably tested on different characteristics to ensure that flawless products are delivered at customers' premises. 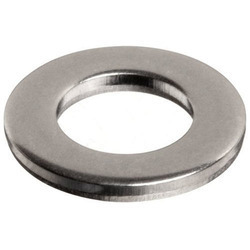 Looking for “Stainless Steel Washers”?